Flowers On Mars was awarded Americana/folk Album of the Year by the Rural Roots Music commission of the National Traditional Country Music Association. 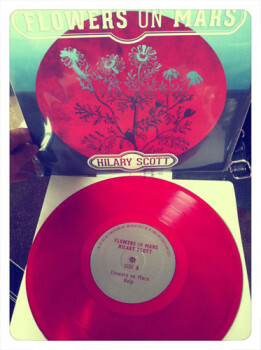 Hilary Scott will be receiving this ward at the 38th Annual Old Time Music Festival in Iowa this summer. Hilary Scott and drummer AJ Gennaro will be performing on both Thursday and Friday, August 28th and 29th.